*This product was given to us in exchange for a review. All opinions are my own. Looking for a thoughtful Christmas Gift Idea for a teacher, co-worker, friend, family or anyone who had a special year worth remembering? 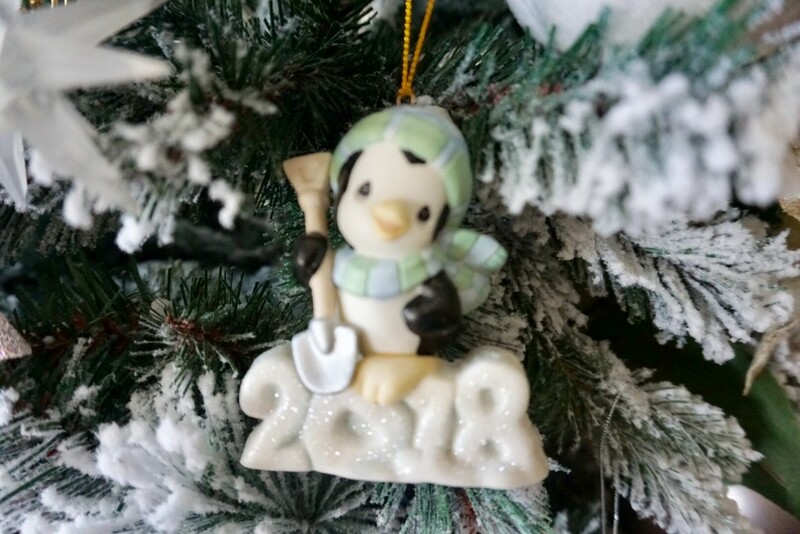 Consider the new 2018 Precious Moments dated penguin ornament as a whimsical tribute to a year full of wonderful memories with family and friends! Personally our family loves receiving ornaments as gifts, we love reminiscing where each one came from and the story behind it year after year. This new addition fits perfectly with our new flocked Christmas tree! 2018 was one cool year and this adorable dated Christmas ornament features a little penguin eager to slide into the new year atop a pile of snow sculpted with “2018.” This porcelain ornament with handpainted details will remind your giftee of your thoughtful gift for years to come! Get your Precious Moments “Wishing You a Cool Yule 2018 Ornament” now at Hallmark!